Whenever one is presented with a ‘brick wall’ it’s important to scrutinize every document collected so far. Do some historical research of the area and then go out there and break it down. I did the first part and realized I could not go ahead without finding the death record of Tomasina. It was a key document that would provide me with her place of birth and parents’ names. We knew she had given birth to her son Michele in Santa Maria Oliveto, even though the birth was registered 18 kilometres away in another town but she wasn’t born or married there. 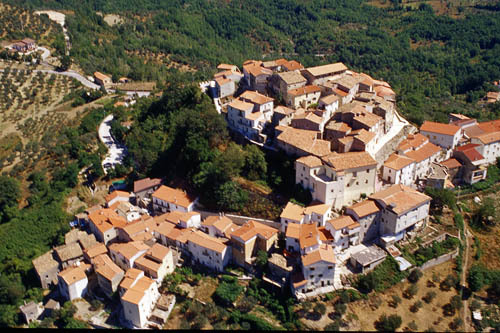 Since Santa Maria Oliveto now comes under the jurisdiction of the town of Pozzilli I decided to start there. I arrived unannounced at the Stato Civile. The gentleman there had already checked for the birth record some time ago and I knew the old records (prior to 1865 were stored in Santa Maria Oliveto. I now asked if I could search for Tomasina’s death record between 1865 and 1900. I had no idea of a date of death and the records were stored in the basement archives. He was resistant but I asked the Mayor’s permission and at the end he even helped me check the indexes until we found it. Her death record stated she was ‘the wife’ of Pasquale and even though we checked up to 1900 we did not find his death record. But now we did know her place of birth and parents’ names. She was born in Scapoli (another town even furth er up into the mountains). The State Archives for this area are in Isernia, just a short distance away and they have all the records for all the towns in this area prior to 1865. A logical choice which would save me from running from town to town. I began the search for Tomasina in the Scapoli records and located two siblings and her parents’ marriage. That takes me back another generation on both lines! There were even ‘processetti’ for her marriage and the marriage of her father and her father’s brother. It also gave me her father’s birthplace which was Roccaravindola. and I’ve been asked to continue…….. Absolutely brilliant – well done – so exciting!